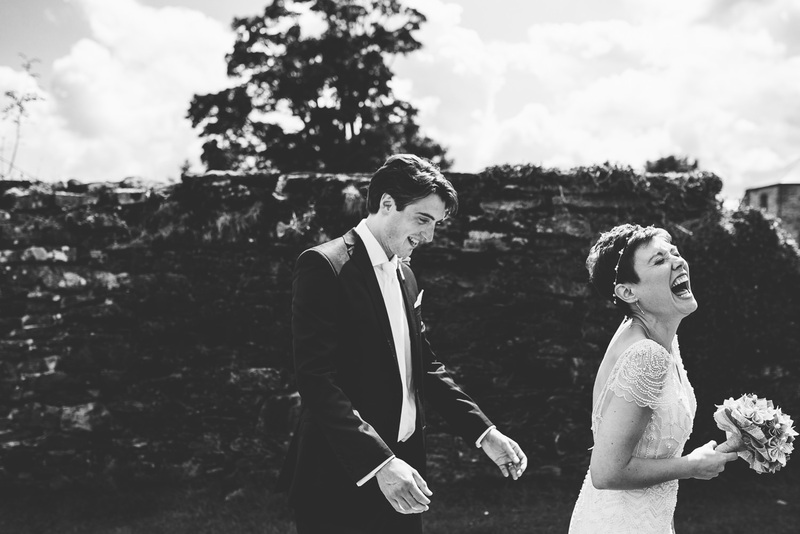 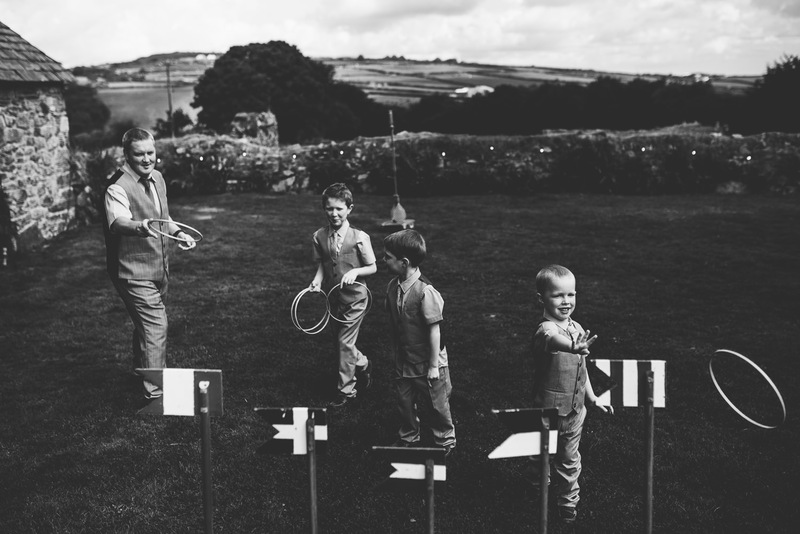 I’ve been photographing weddings at Trevenna Barns in Cornwall for a number of years. 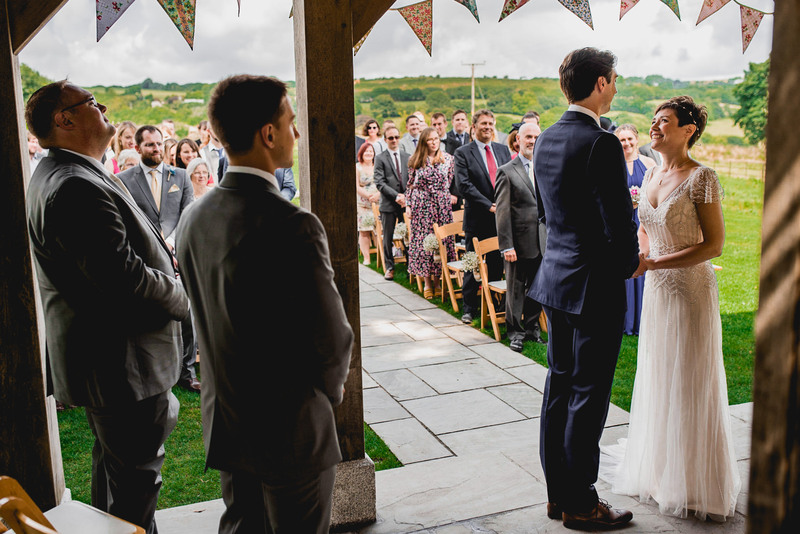 It’s the only Cornwall wedding venue that I visit several times each year, and as you’ll see – for good reason! 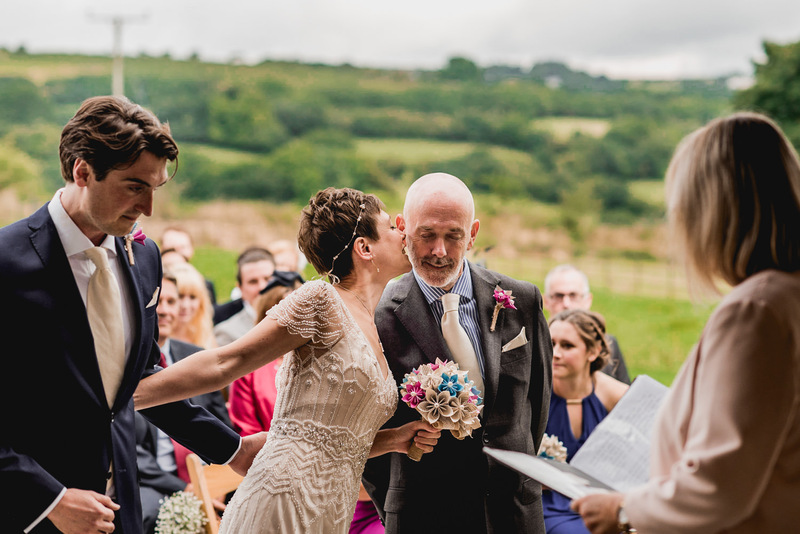 Trevenna provides a rustic barn wedding theme in the heart of Bodmin Moor, sandwiched between the A38 and A30 in Cornwall, not far from where I grew up as a kid. 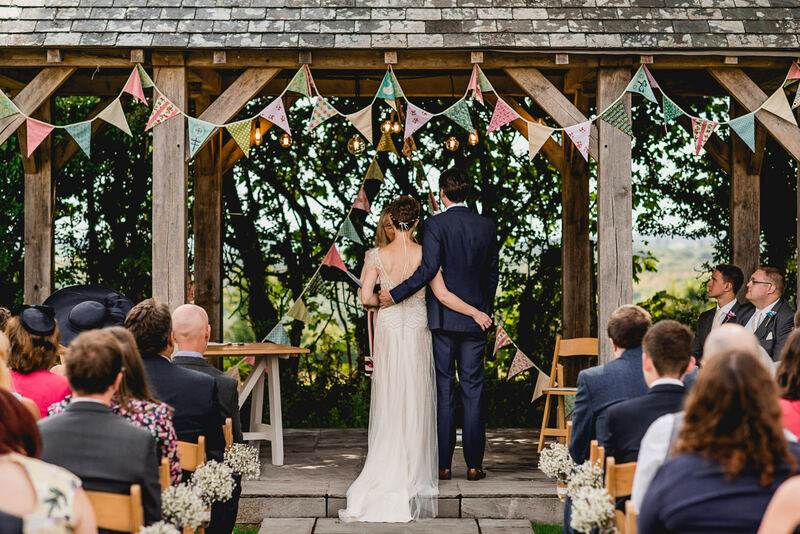 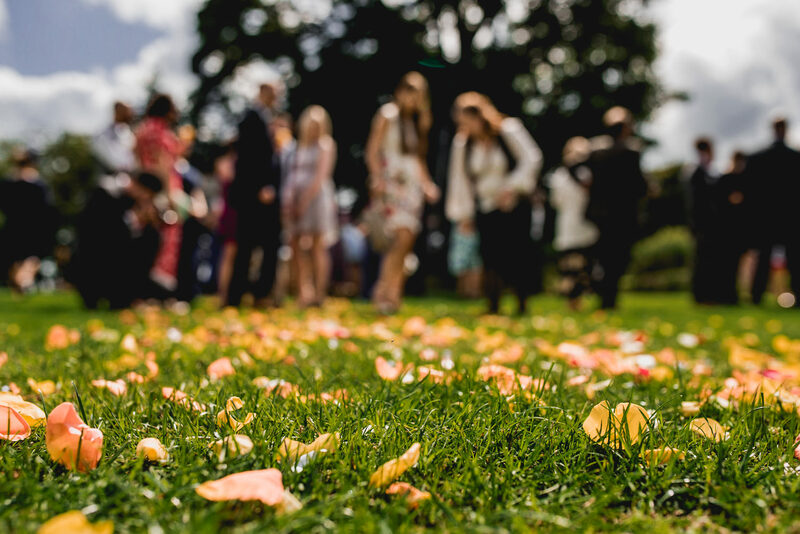 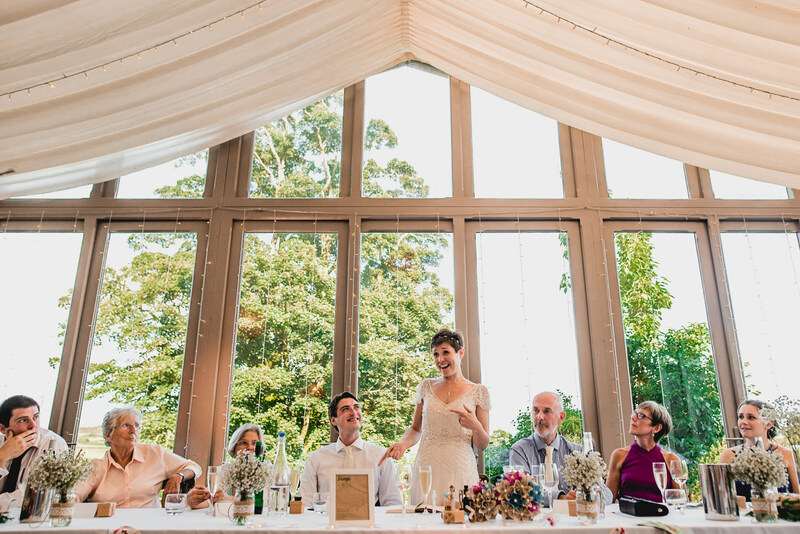 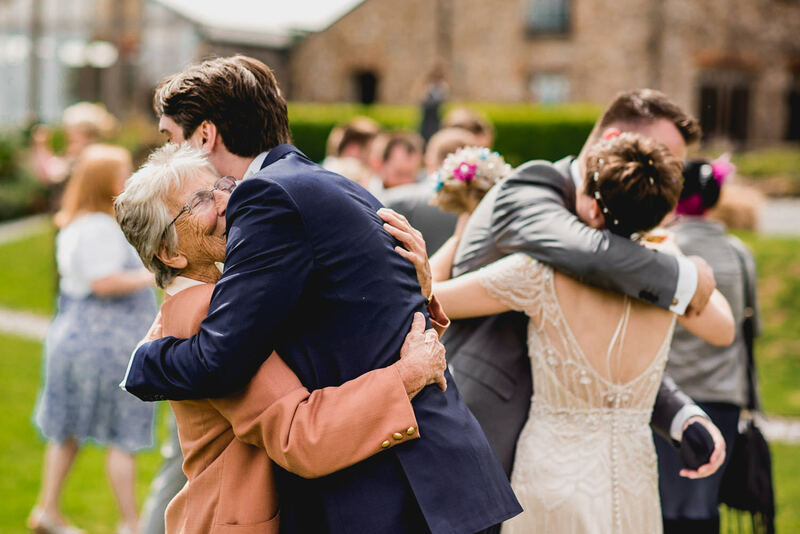 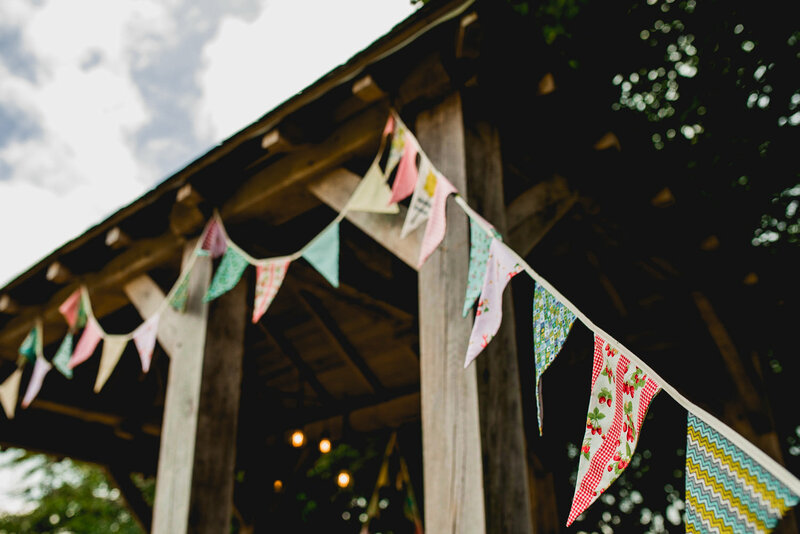 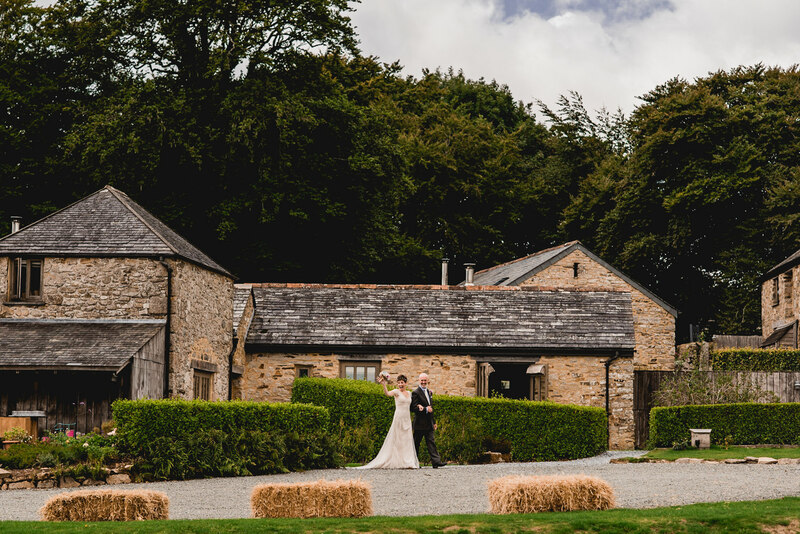 Trevenna Barns in Cornwall provides a beautiful backdrop for a relaxed wedding all year round. 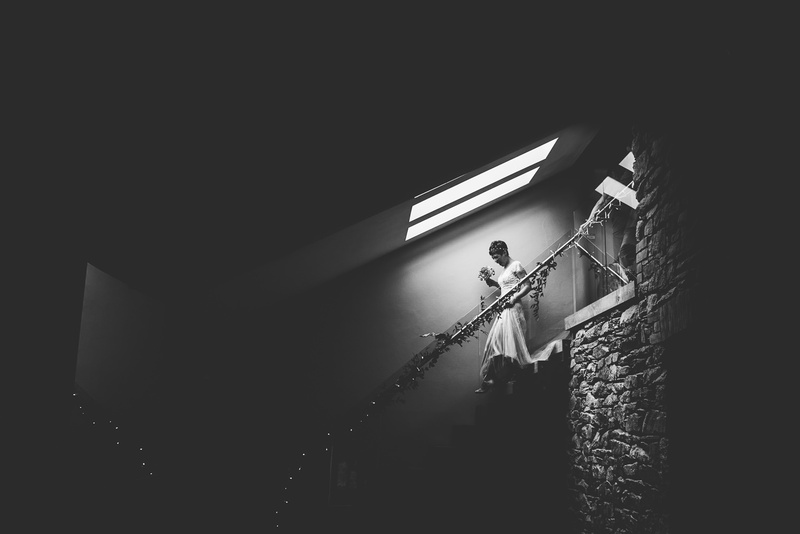 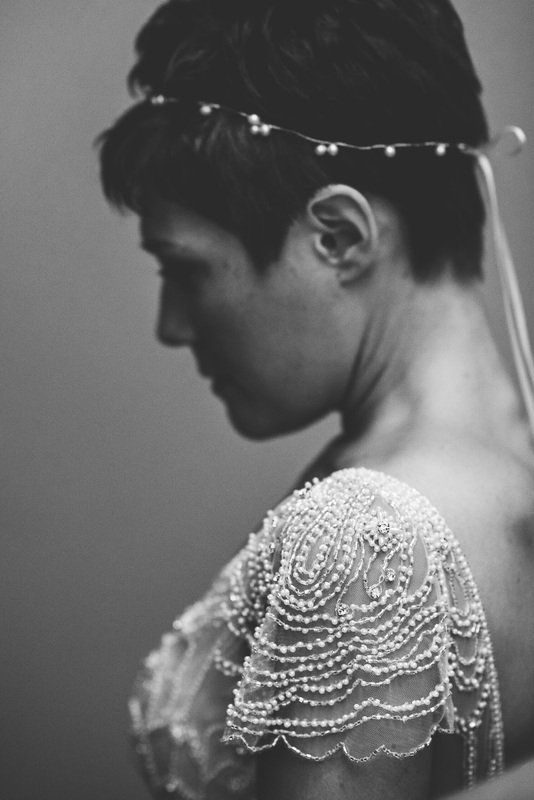 You can view more of my Trevenna Wedding Photography on this page. 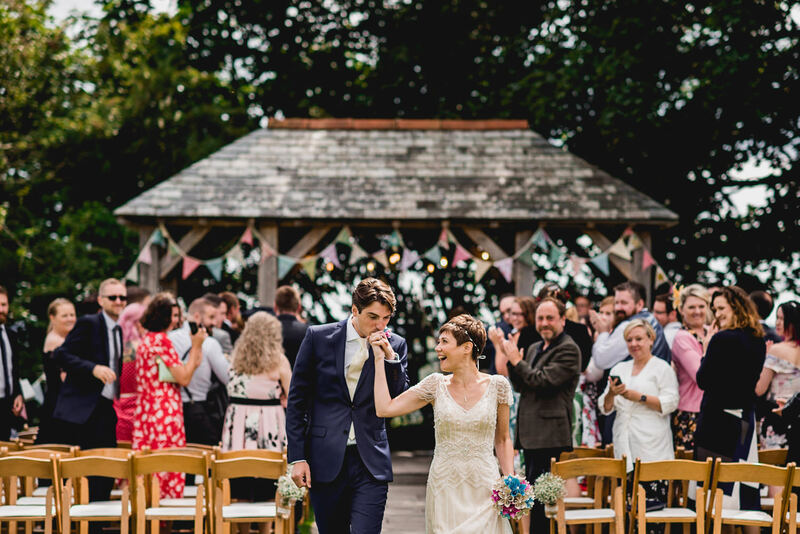 How and why did you choose your venue? 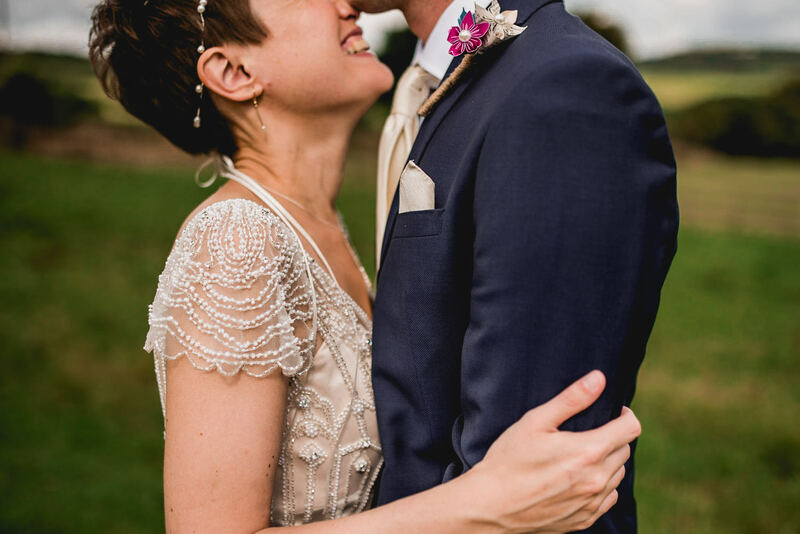 As we were a couple for 13 years before getting married, we were lucky enough to be invited to a lot of weddings before planning our own. 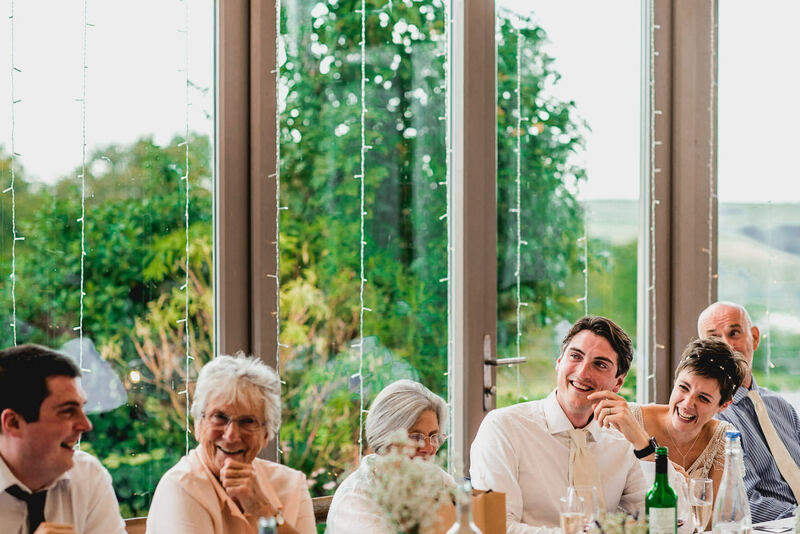 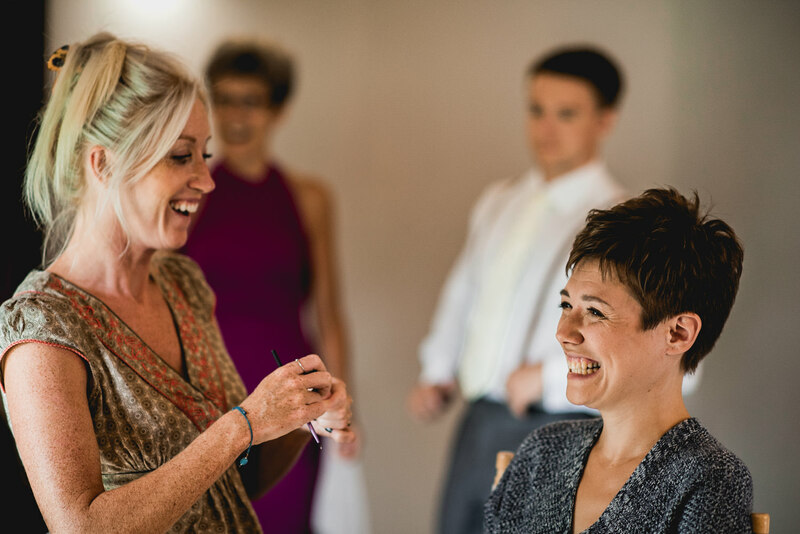 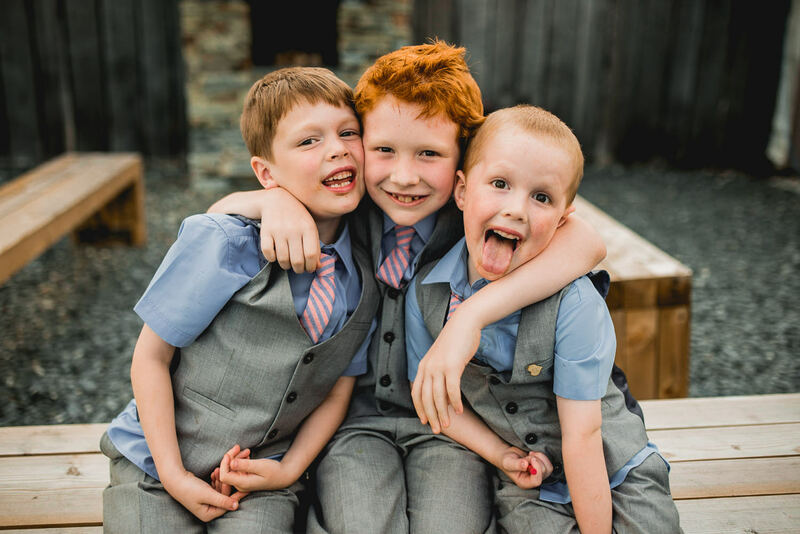 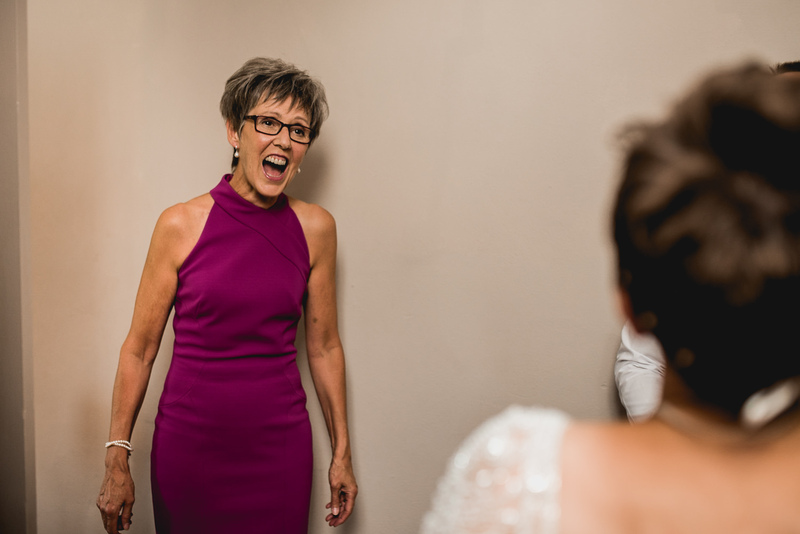 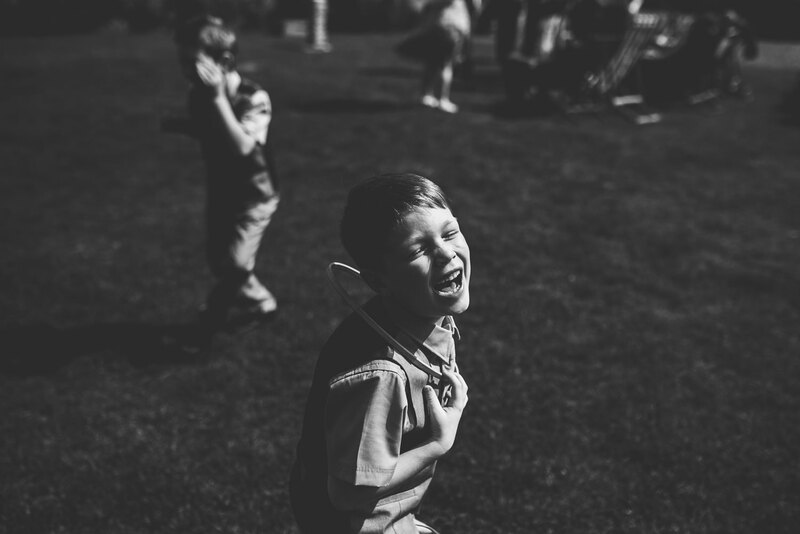 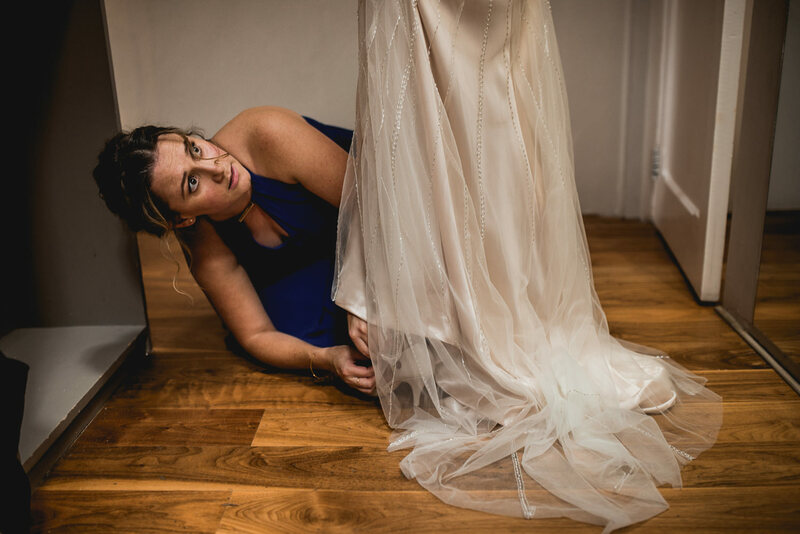 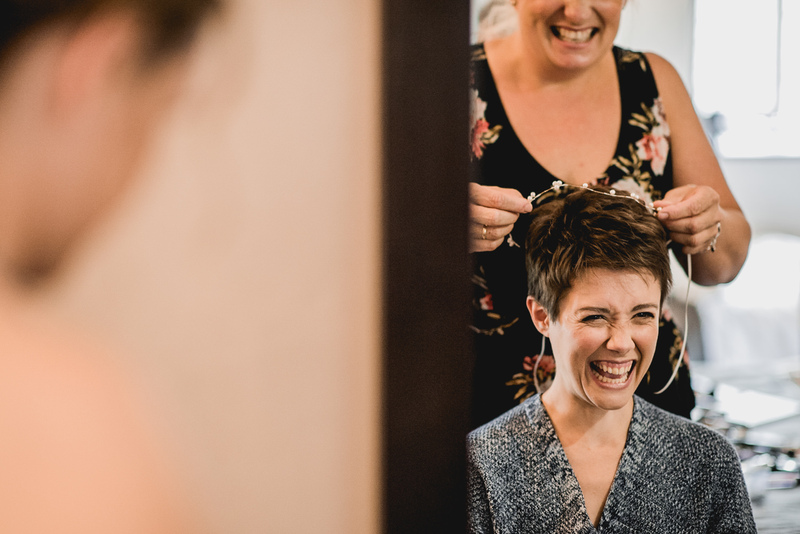 So we had a good idea from those as to what we wanted from the venue when it came to our turn – specifically somewhere exclusive where we could have our family and friends stay across multiple days so that we didn’t feel like we were seeing everyone fleetingly throughout the day. 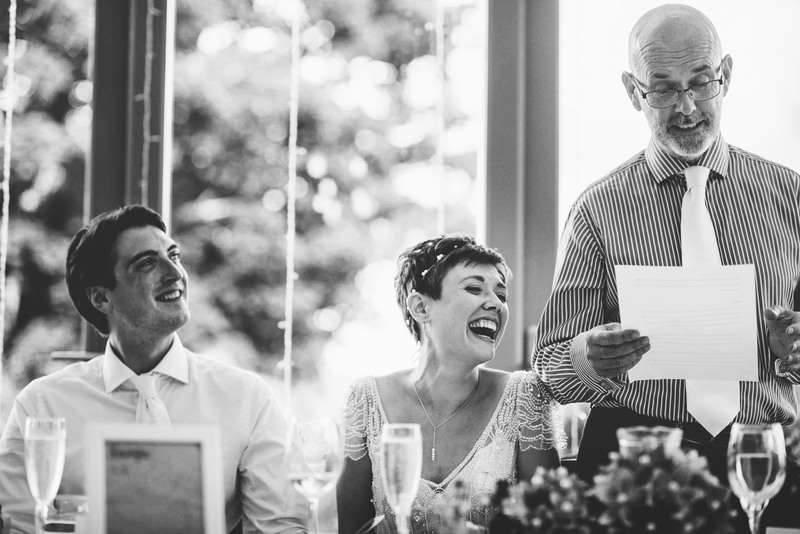 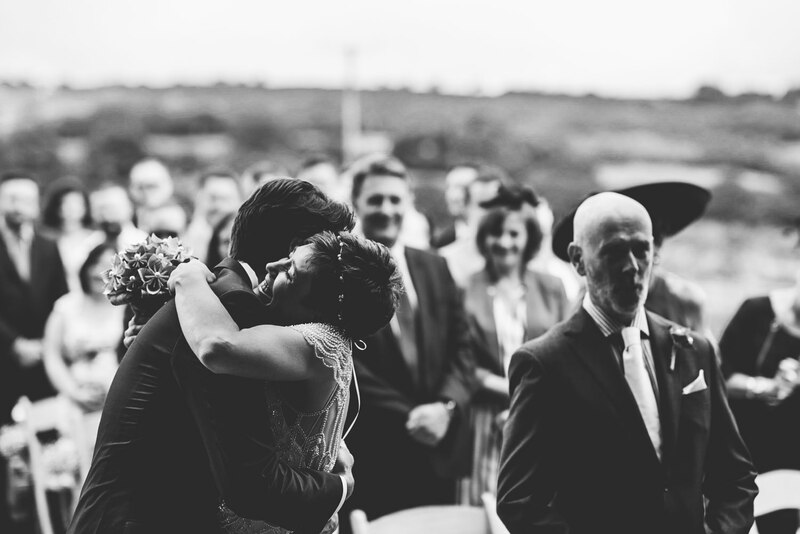 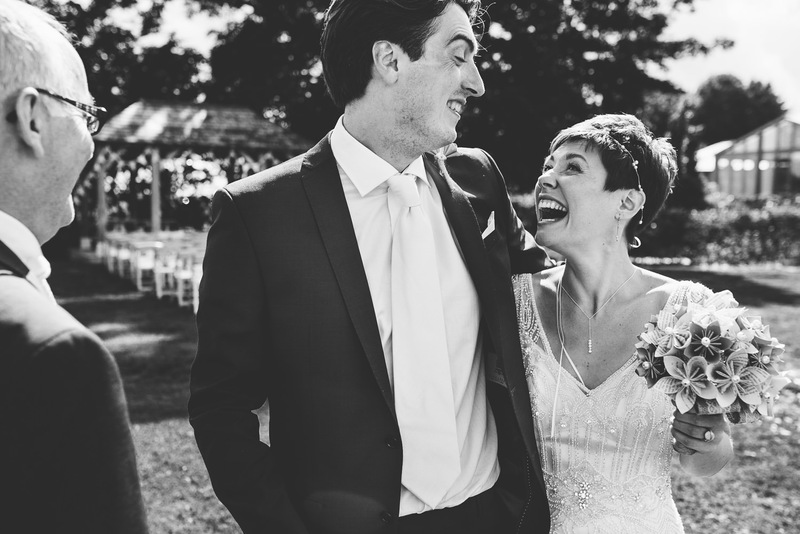 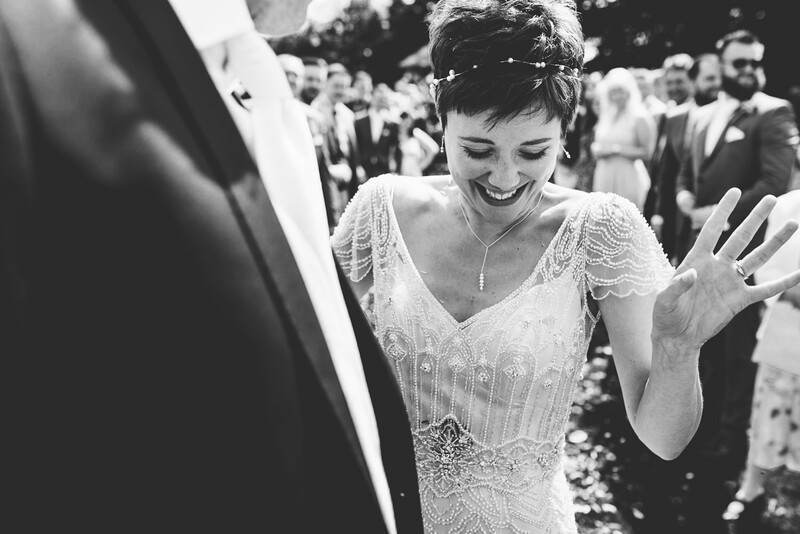 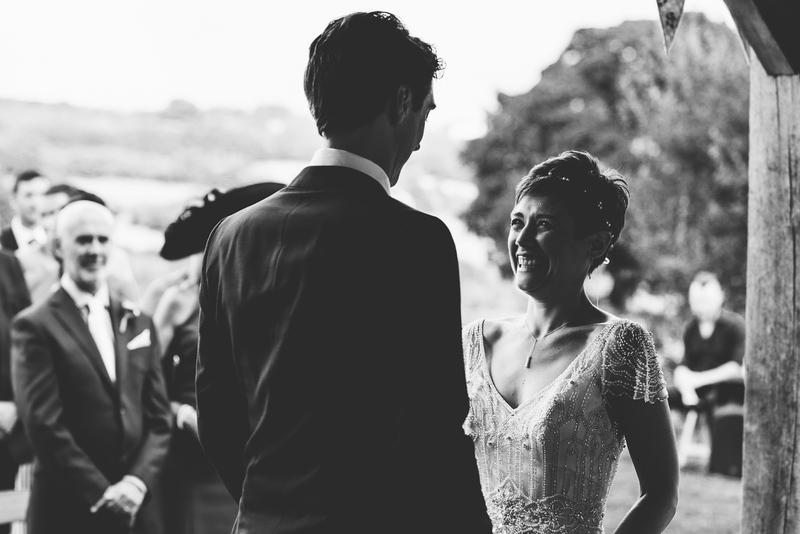 With Em being born in St. Austell, it was natural to look at Cornwall for a venue that fitted. 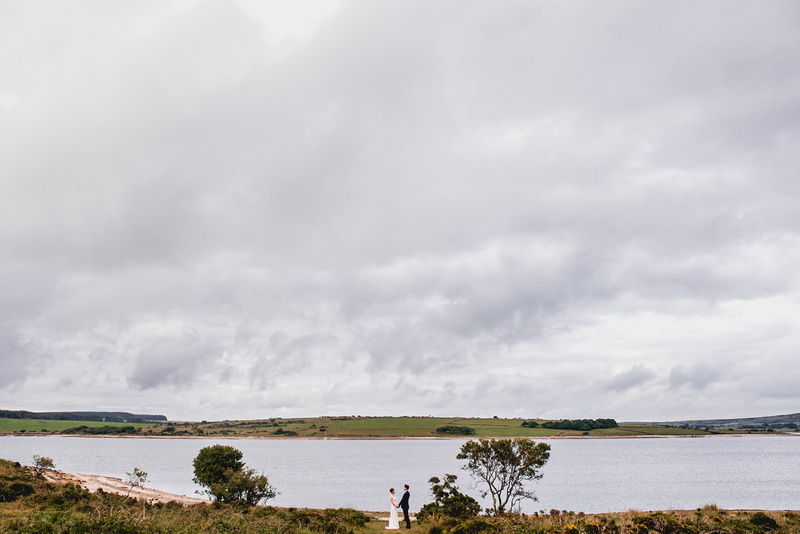 Trevenna stood out when we found it online, and it blew us away when we visited (we almost said yes after five minutes there but kept our composure and waited until the end of the tour!). 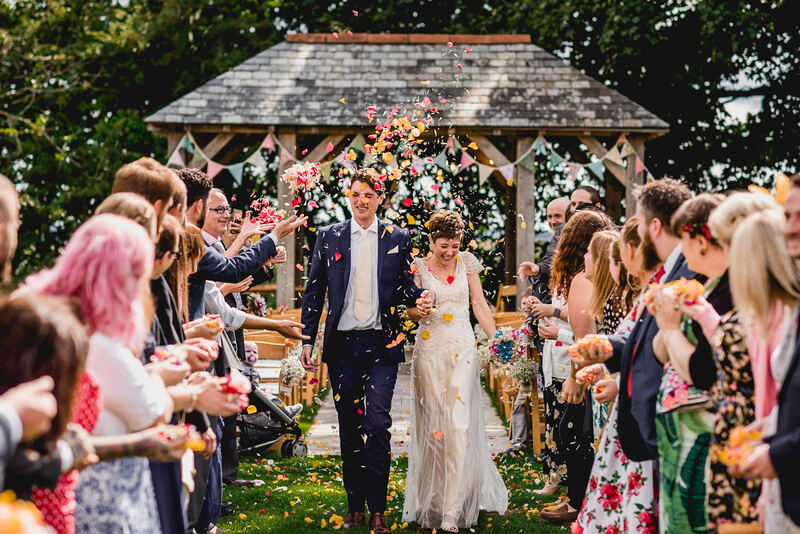 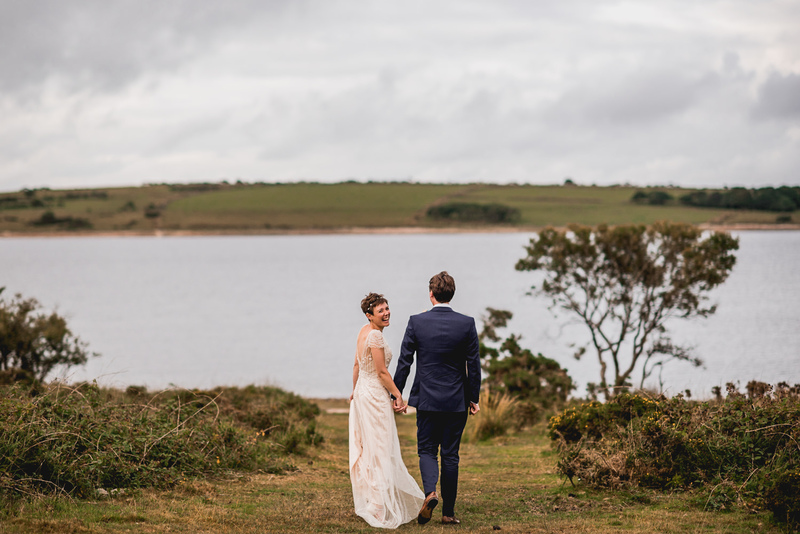 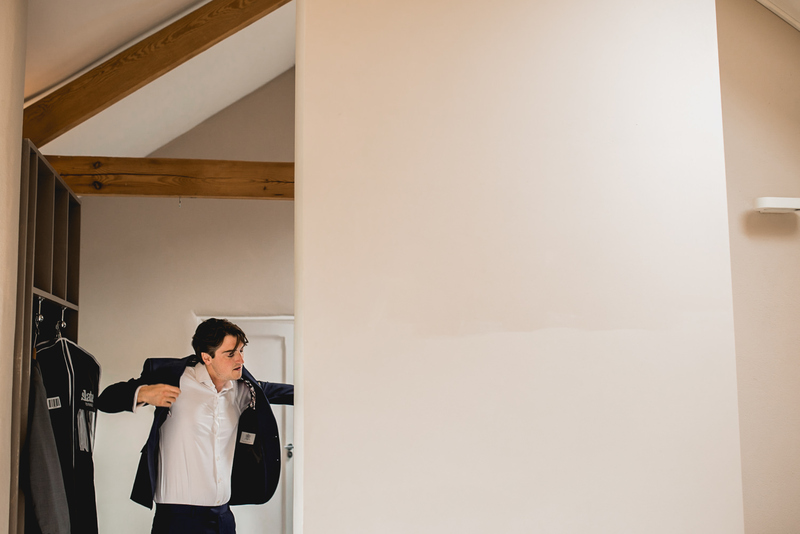 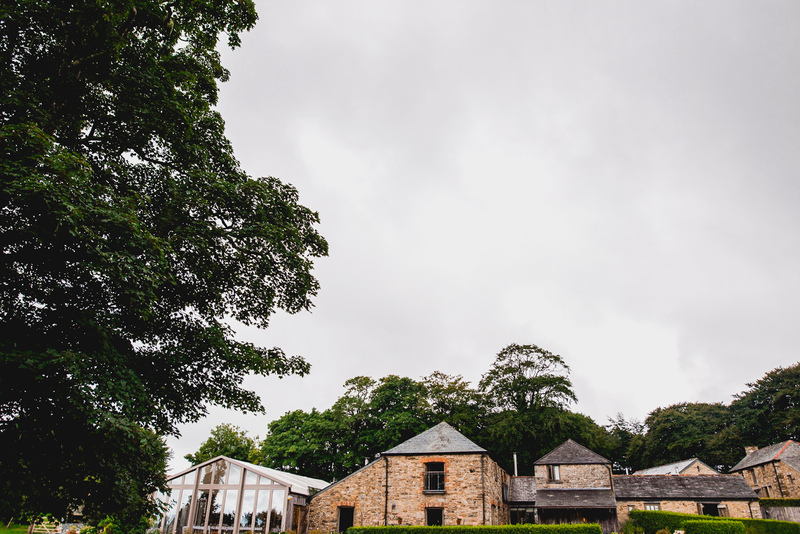 The rustic buildings coupled with a breath-taking panoramic of the Cornish countryside gave us a perfect canvas to create the wedding we wanted. 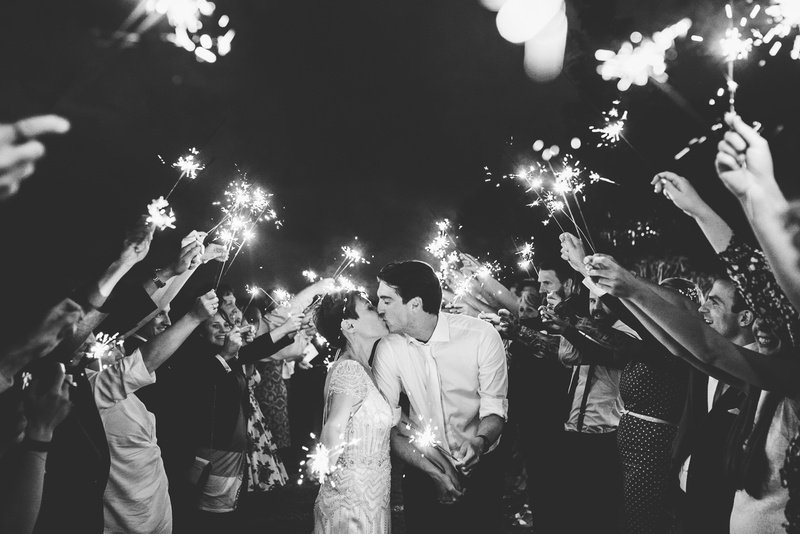 What were your top three priorities in planning your wedding? 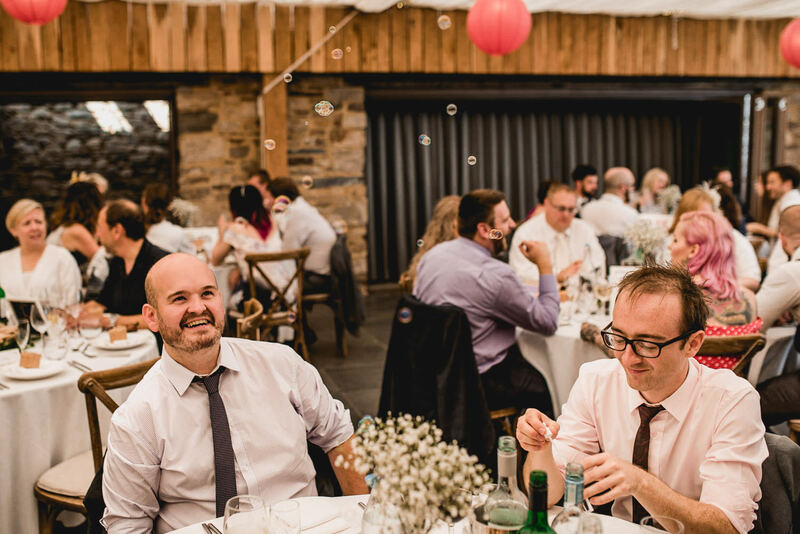 We wanted to make sure that people were well-fed and entertained. 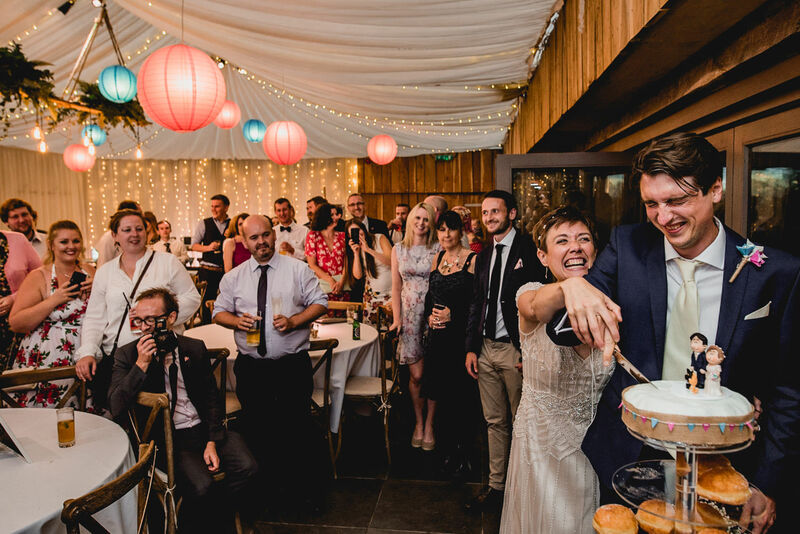 Ultimately we wanted to throw a fab party and for everyone to have an absolute ball and there’s nothing worse than waiting around not knowing what was happening next, then getting to the end of the night and needing to stop off at a kebab shop on the way back to the hotel! 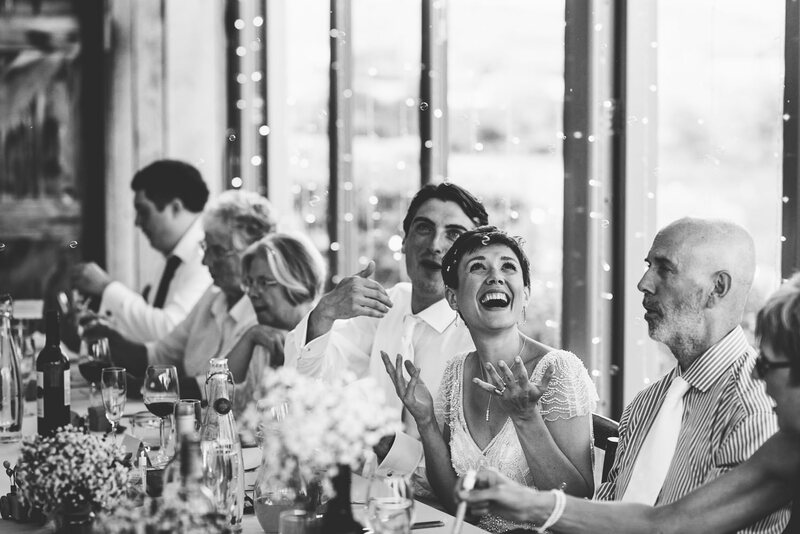 Luckily Trevenna had the experience to know how much food (and fizz!) 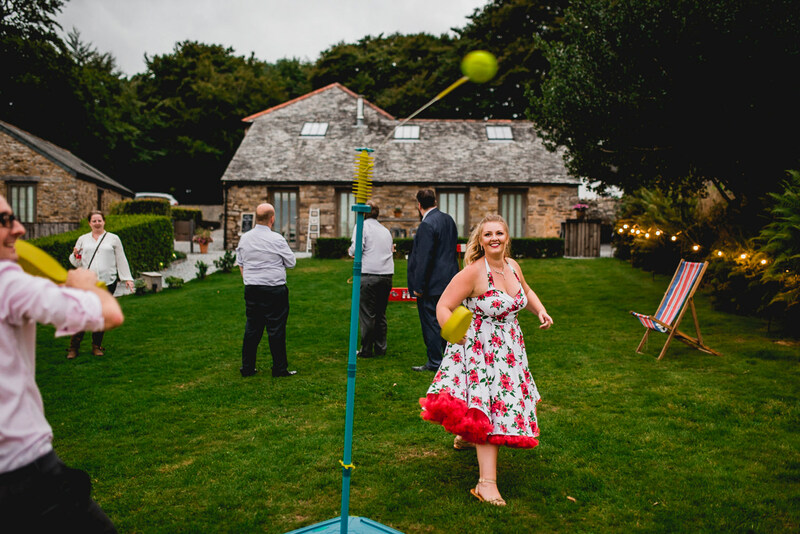 to provide throughout the day for our number of guests so no-one went hungry, and we got some fabulous games from Box & Cox Vintage Hire to play during the reception and later in the evening. 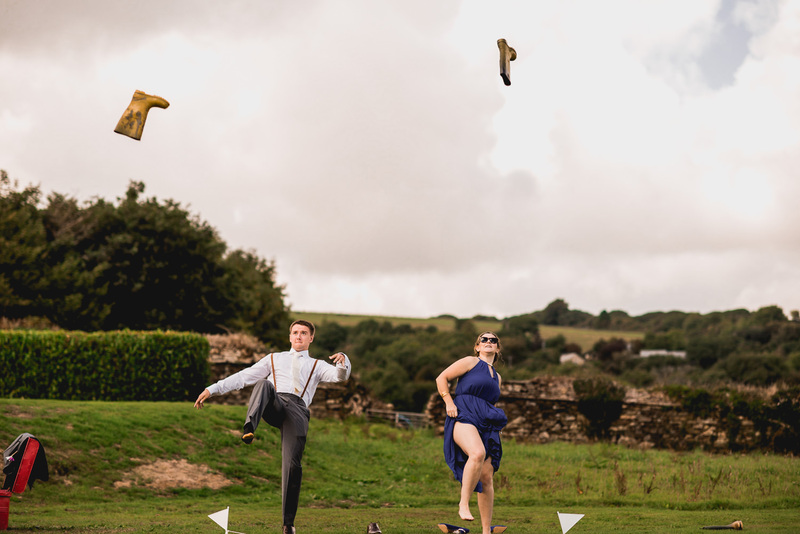 The giant Jenga and Welly Wanging, in particular, made the most of the outdoor space! 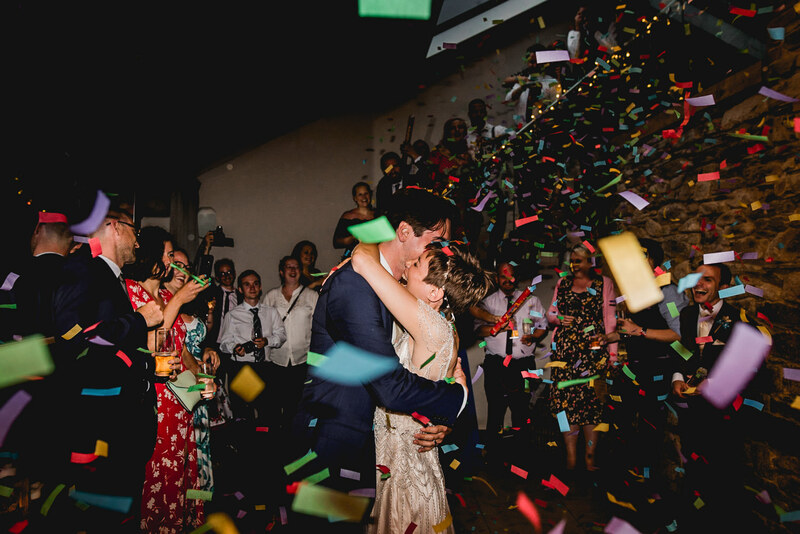 We also wanted the wedding to truly reflect us as a couple – from a tower of doughnuts (Pete’s favourite) as the cake to the table names referencing our backpacking tour of China, where some of the most fabulous and harrowing experiences, like the reflection of the moon over West Lake vs. a truly epic bout of food poisoning, made us realise that we wanted to spend the rest of our lives together. 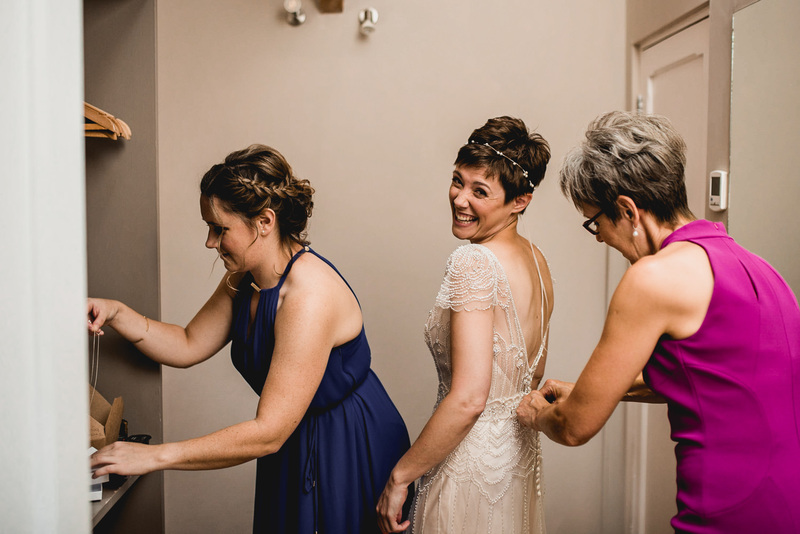 While this meant spending a little more time and effort on certain things, it really made the day special when we think back. 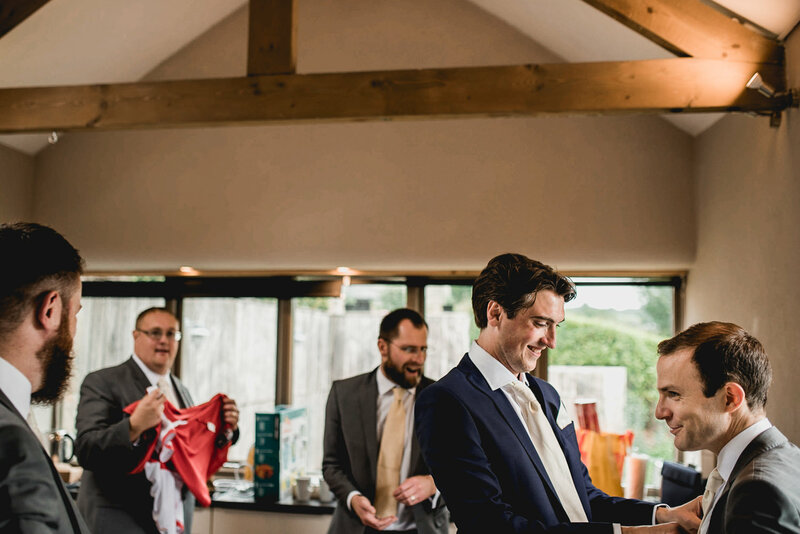 Finally, as much as we knew we’d enjoy the day, we also wanted to enjoy all the planning beforehand and not feel like it was a chore! 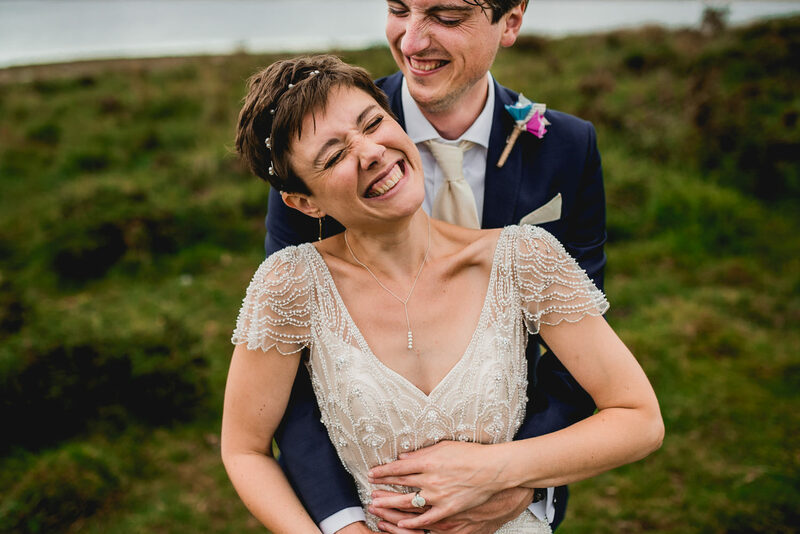 We did this by splitting up the tasks between us, making sure we gave ourselves enough time for everything and doing things early enough that we could take a short break in between completing them to recharge ready to tackle the next thing on the spreadsheet! 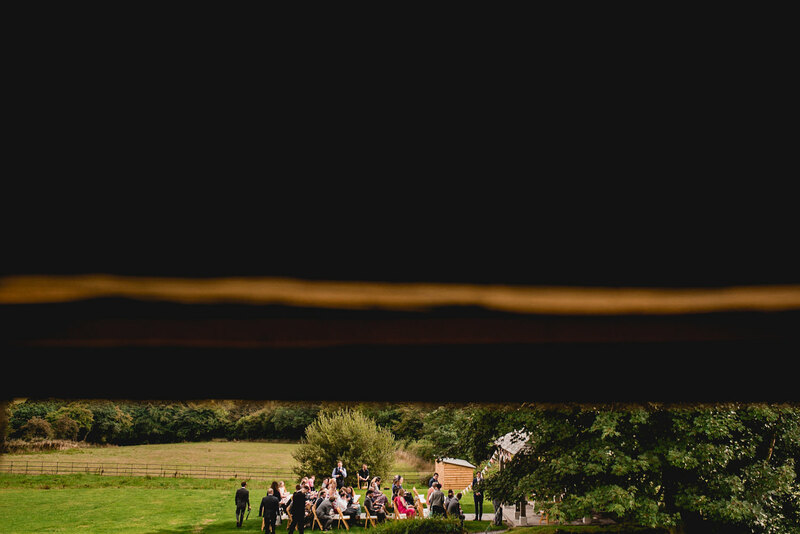 If you could do it all again, which one thing wouldn’t you change, and if anything, what one thing would you change? 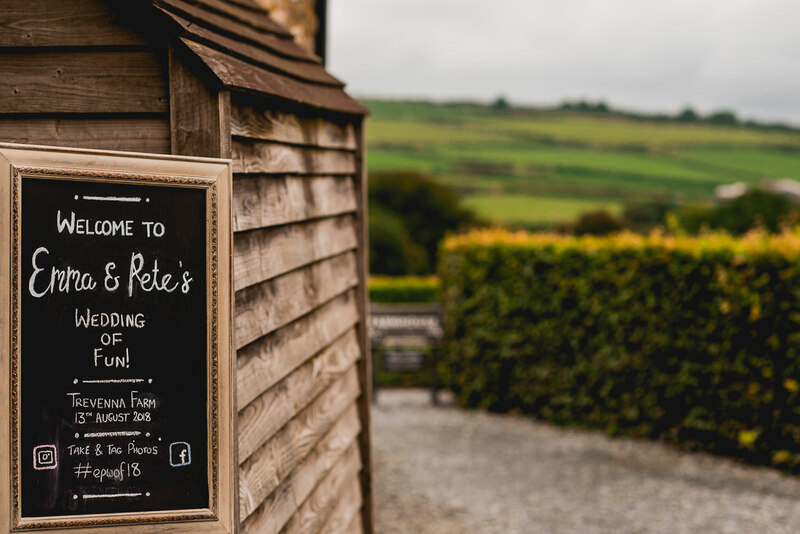 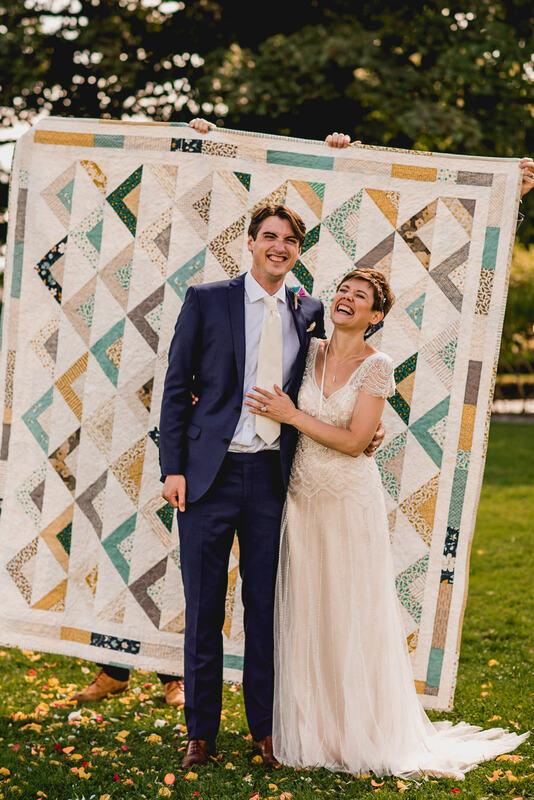 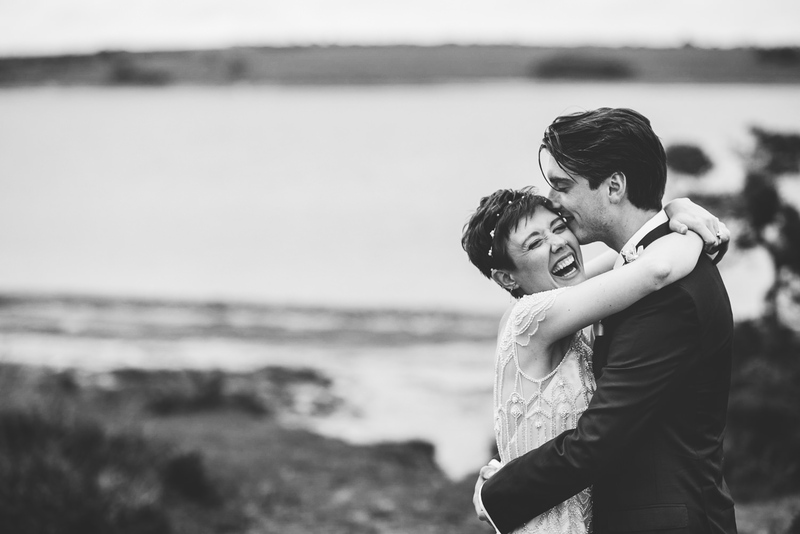 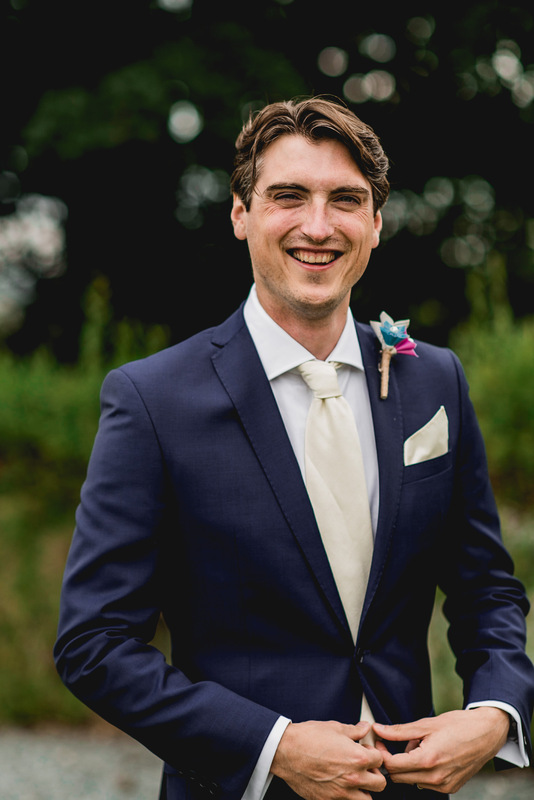 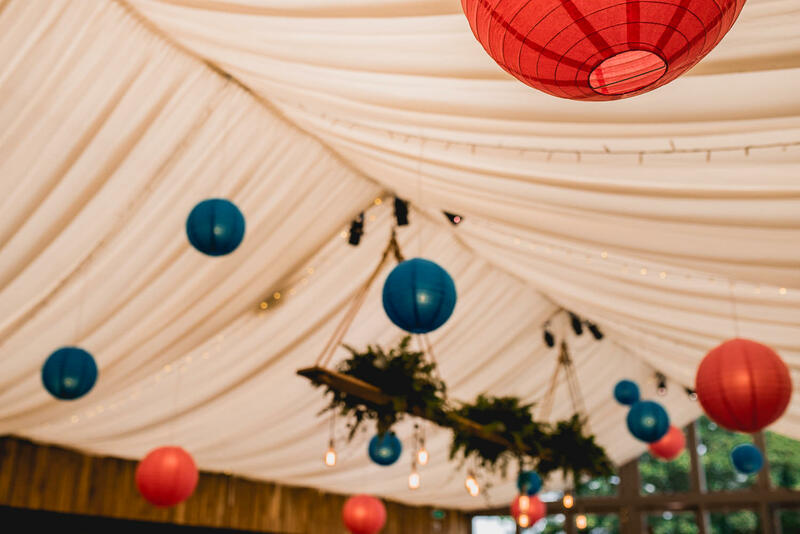 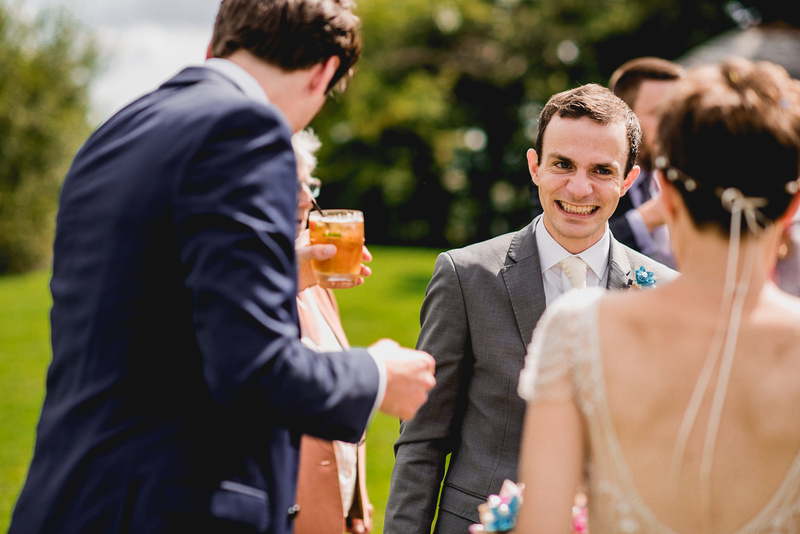 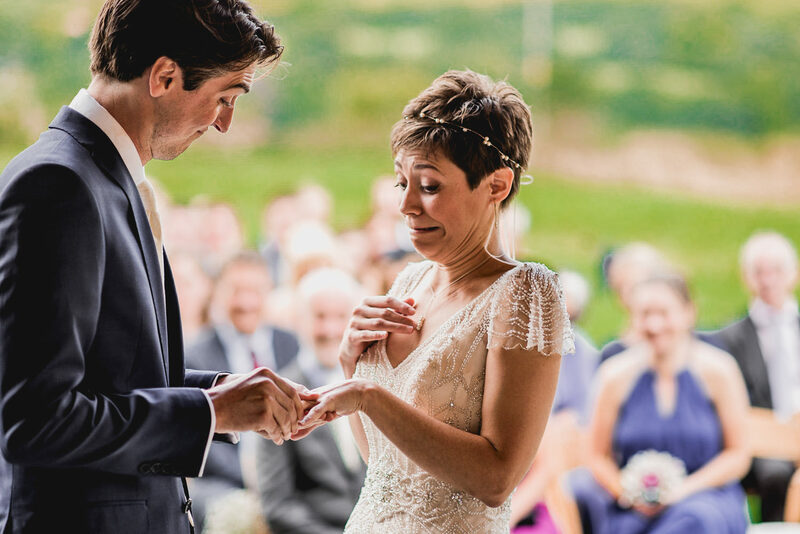 Pete: I couldn’t imagine getting married anywhere else, so I definitely wouldn’t change the venue, it was the perfect backdrop we needed to plan the wedding we wanted! 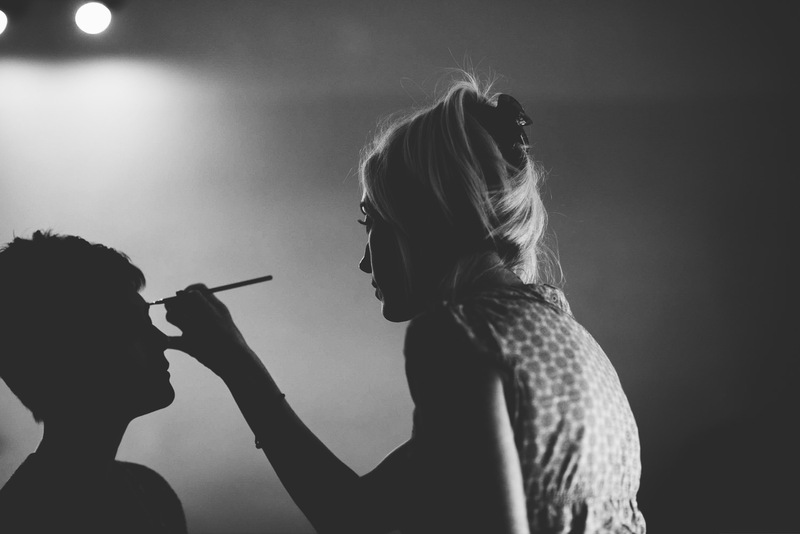 However, saying that I would have planned where everything would go before getting there the day before. 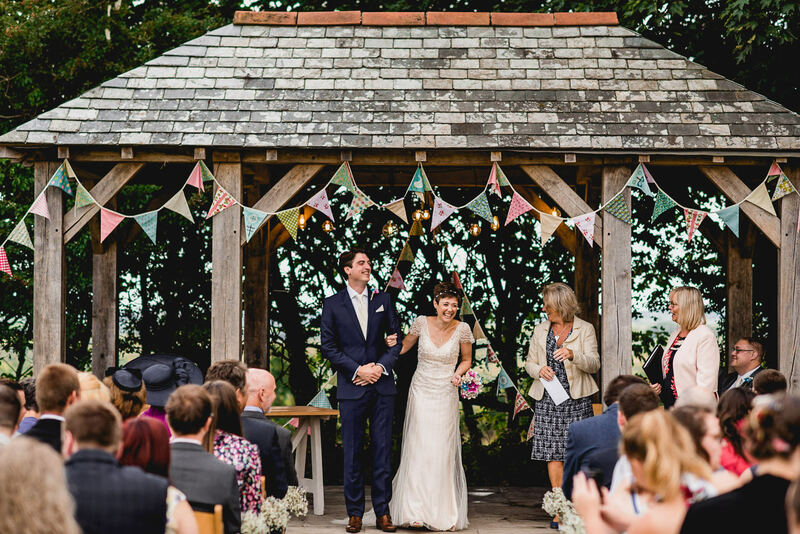 There was some frantic last-minute planning which could have been avoided!! 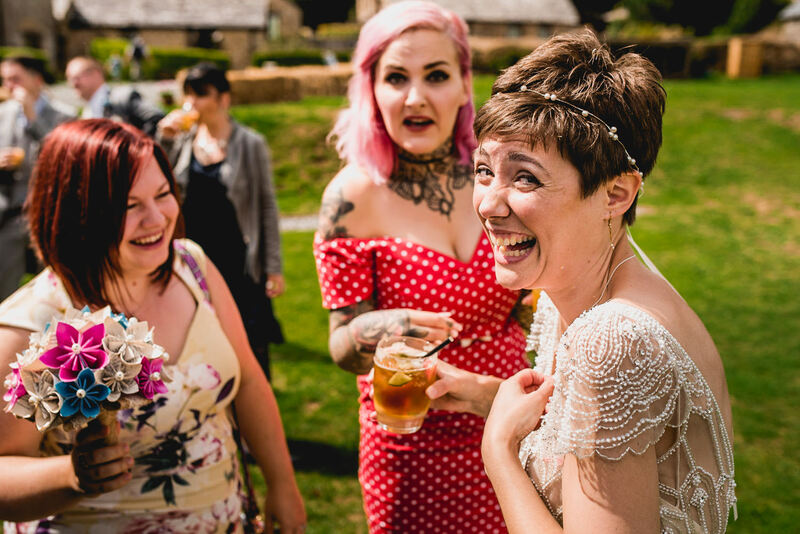 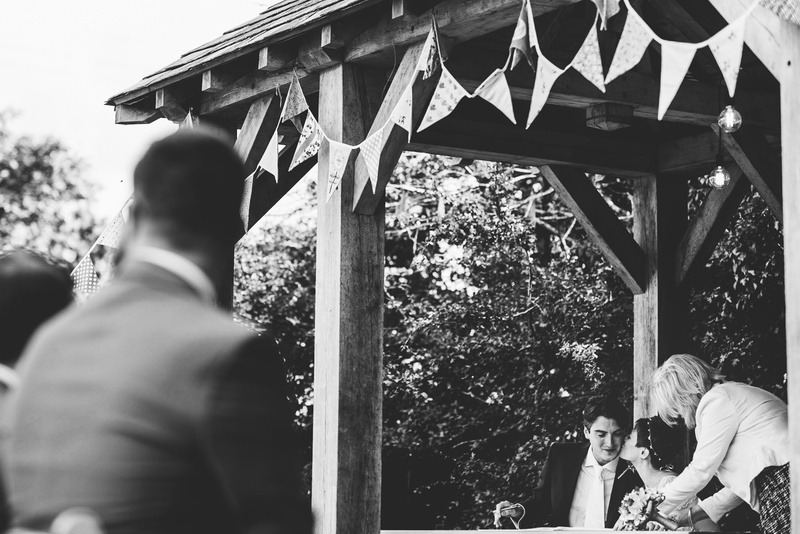 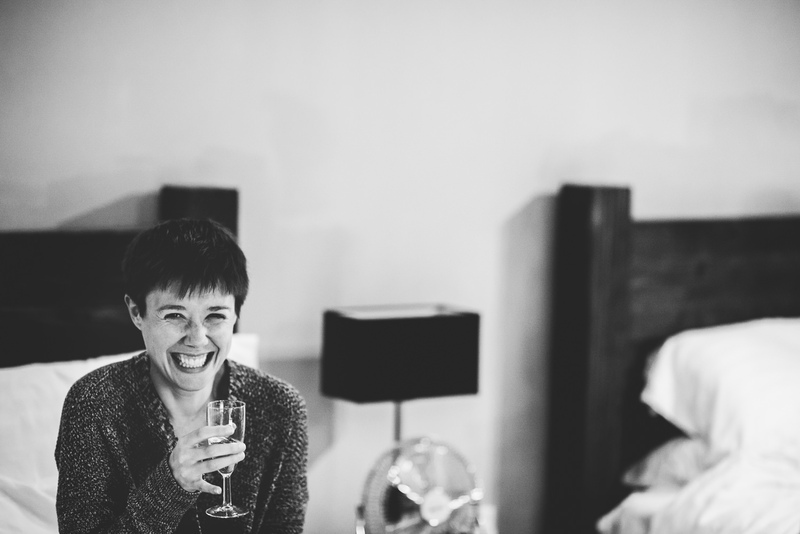 Emma: I booked a little surprise ‘love nest/bolt hole’ for a few nights after the wedding at the Cider House, Gooseford Farm. 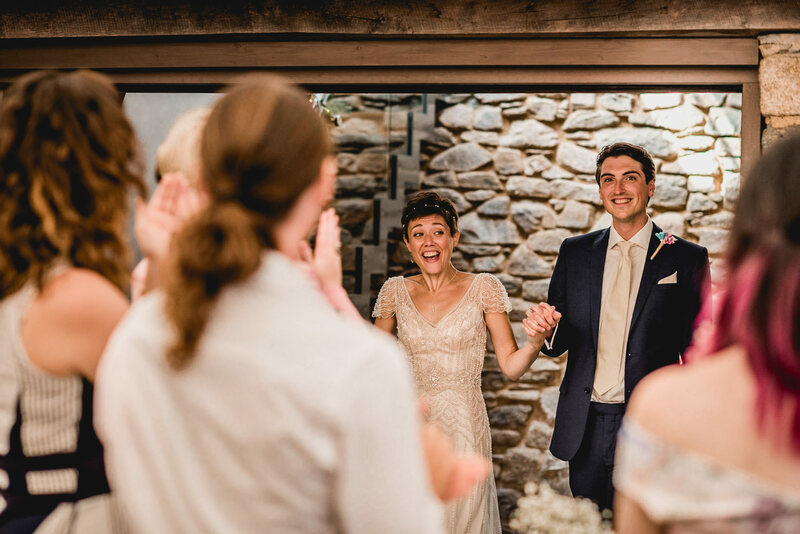 It turned out to be the most perfect opportunity for us to retreat and soak in the awesomeness of the wedding, recover from the relentless excitement and to spend some time in each other’s company as a married couple. 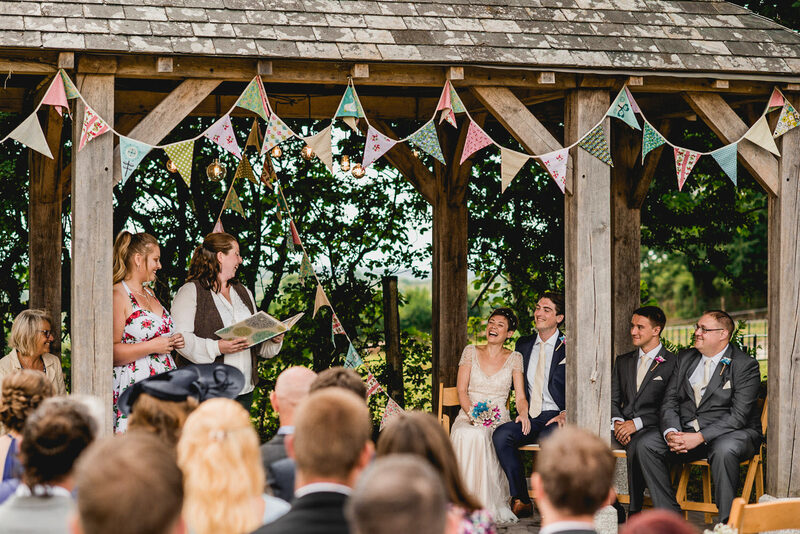 Honestly, the only thing I would have done differently would have been remembering to move the vase of flowers down to the arbour! 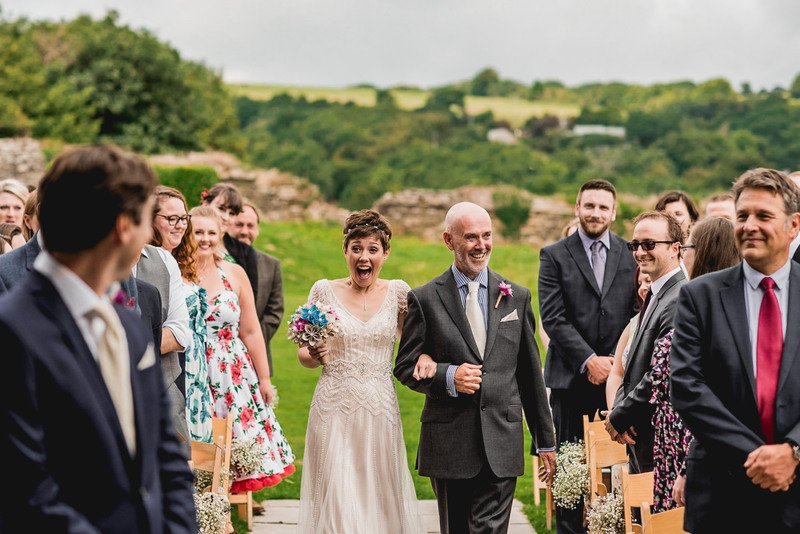 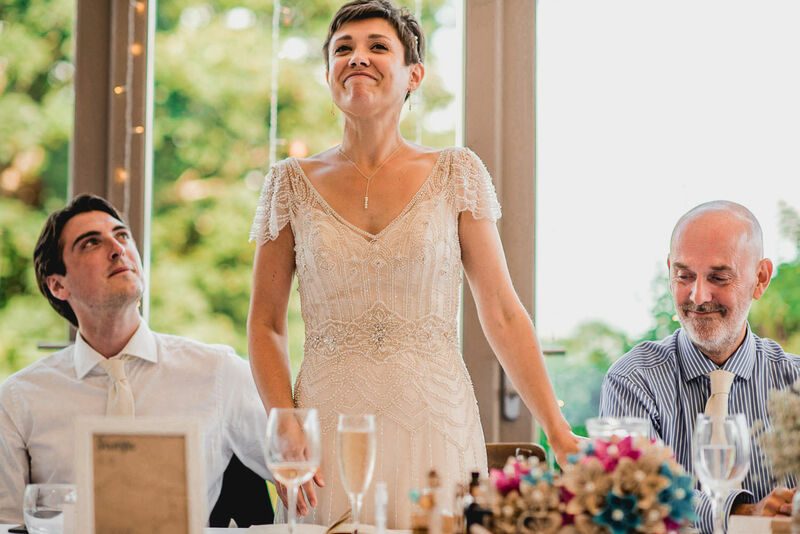 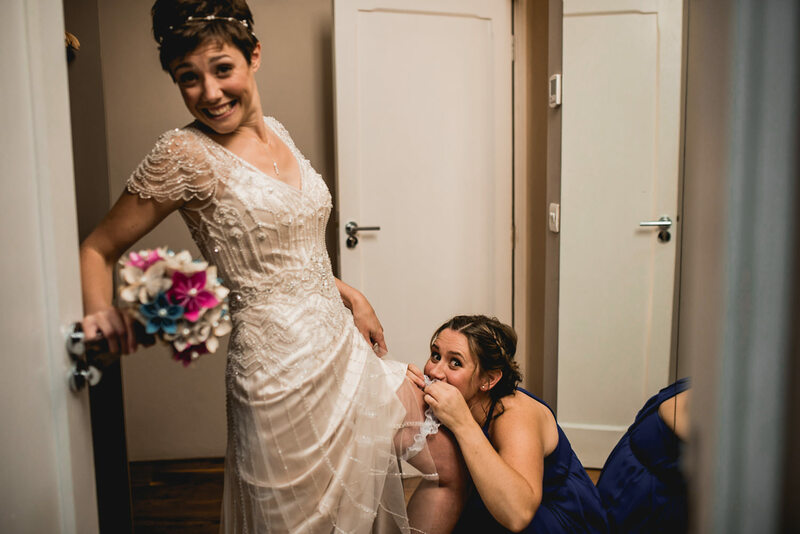 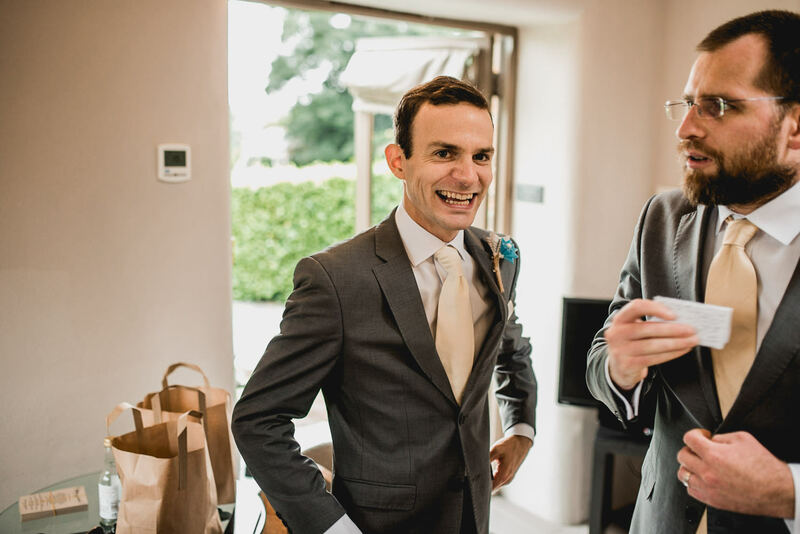 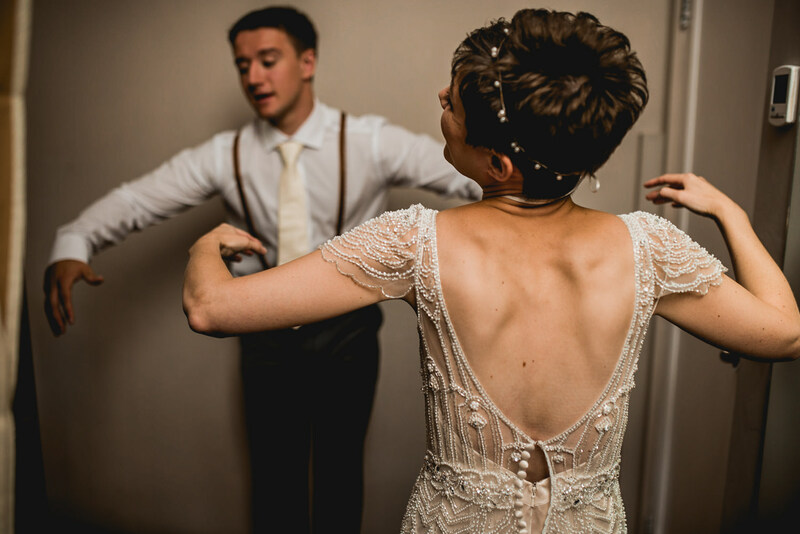 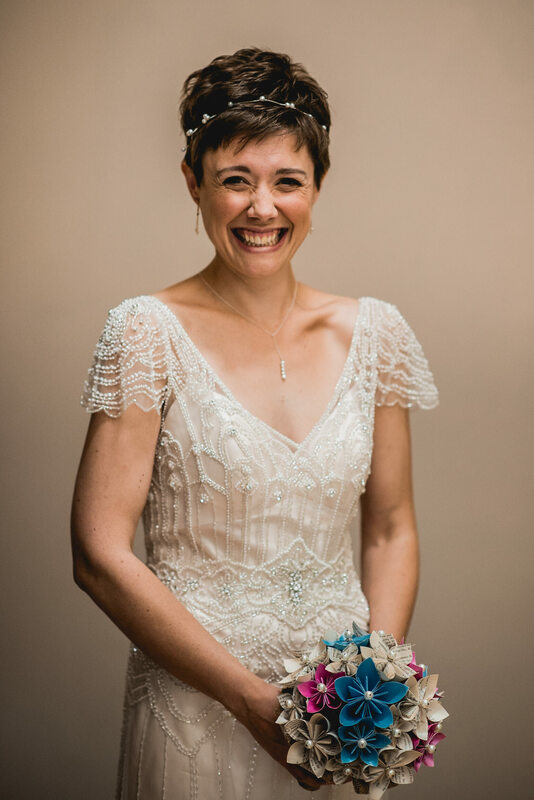 As it was, the amazing Barney arranged my bouquet on the signing table so I didn’t even realise I’d forgotten until I saw our friends’ photos the next day! 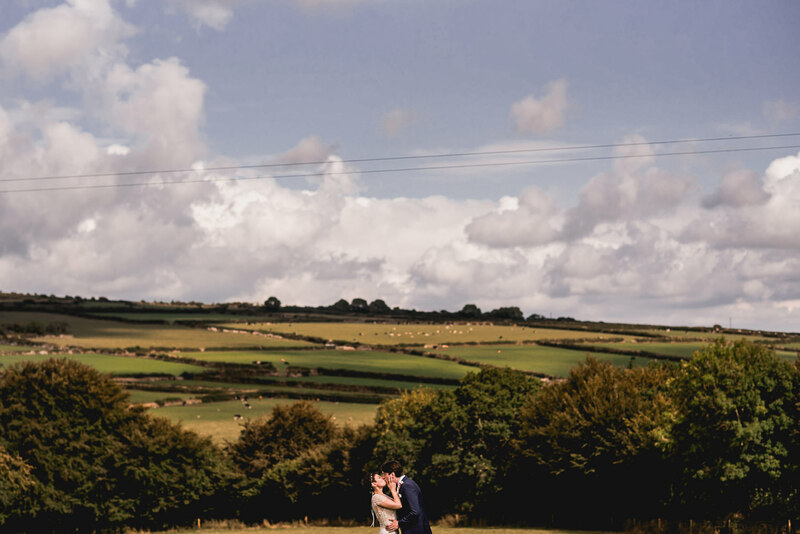 And remember, you can view more of our Trevenna Wedding Photography and Cornwall Wedding Photography on these links.